With Readly you can read Gridiron Annual Bookazine With Neil Reynolds – 2018 and thousands of other magazines on your tablet and smartphone. Get access to all with just one subscription. New releases and back issues – all included. Get ready for the NFL season with Sky Sports and Gridiron pundit Neil Reynolds’ annual Season Preview. 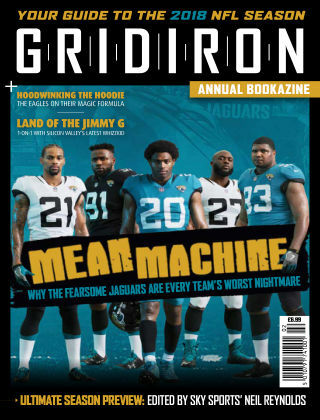 Featuring exclusive insights from some of the NFL’s biggest names, plus team-by-team and division-by-division breakdowns, the 136-page Gridiron Annual Bookazine provides all the information you need to prepare for the season.